Learn how to analyze, contextualize and create stories and narratives in current media: from understanding storytelling basics to discussing new online tools and formats, this course brings together a network of media researchers, creators, and students. Are you interested in the mechanics of current fiction formats? Do you want to know how stories are told? Do you want to analyze, understand, contextualize and create stories and narratives? Then join our MOOC and share our passion for storytelling! Together with a whole network of media researchers, creators and students we will: - learn storytelling basics such as antagonist/protagonist relationships, narrative/narrated time, ... - have a look at exciting current media projects - analyze how they are designed and executed based on aforementioned basics - and discuss how (and if) new online tools and formats change the way stories are told and perceived. It offers weekly video material, lessons, interviews and tasks on the following topics (not necessarily in this order): - storytelling basics - serial formats (on the TV, web and beyond) - storytelling in role-playing games - interactive storytelling in video games - transmedia storytelling - alternate-reality gaming - augmented reality and location-based storytelling - the role of tools, interfaces and information architectures in current storytelling. Our goal is to inspire and help understand. To broaden our horizon of what is and might be possible and what has already been attempted, and what has succeeded or even failed - and why. In several little tasks you'll analyze and practice storytelling on your own and in teams. Based at the Design Department at the University of Applied Sciences Potsdam, this MOOC is not only interdisciplinary, but also includes guest lectures and project presentations by game designers, writers, transmedia producers, TV makers, executives and theorists from many different fields of study. We will thus be able to discuss content, structures and technologies from various perspectives. Our MOOC will help you answer the following questions: 1. How do fictional stories work? Which structures and mechanics are used? 2. How do new technologies influence the ways stories are told and perceived - and which new media formats have been developed during the last years? 3. How can technologies, interfaces and visuals engage an audience fast and continuously? 4. How can I develop and implement my own story-ideas - on my own or in teams? No prior knowledge of storytelling mechanics is needed, but can be helpful. Interest in creative processes and new technologies is welcome and encouraged. - You don't know what an alternate-reality game, RPG or transmedia storytelling is? - Great, you'll learn it here. - You are a storytelling professional? - Great, we hope to inspire you. Please feel free to help us inspire others by sharing interesting links, events and projects on our Facebook page. How much does it cost me to take part? Our MOOC is free of charge for anyone interested worldwide. However, how much of your free time you invest is up to you. When did this course start? This MOOC started on October 25th, 2013 and ran for eight weeks until December 20th, 2013. All video material will be available for another year for those enrolled prior to the course closing date on December 20th, however, the StoryMOOC team will not be consistently present on the discussions boards after December 20th. Can I still enroll? No, unfortunately enrollments were only possible until December 20th. All content will be available here for those enrolled for at least 1 year. Is there any other chance to get to the content of this course? Yes, all video lectures and interviews are to be uploaded on our YouTube-Channel http://www.youtube.com/user/officialStoryMOOC for those who couldn't follow the course on iversity in time. Will there be certificates? YES! Statements of Participation will be available from Friday, Feb 21st onwards for any participant who has completed the course by 80% or more. This means: - if you already gathered more than 80%: Congratulations! In this case you have earned your Statement of Participation for the MOOC already, and can download it on Friday (or later) from the iversity course website (once logged in). - if you have not finished the course yet: Don’t worry, you still have time to go through all the videos, quizzes,... thoroughly until at least December 2014, and download your Statement of Participation once you’re done. What does MOOC stand for? It means "Massive Open Online Course". What does this course consist of? The course is based on recorded video lectures, quizzes and creative tasks that will be online from October 25th here on our course website on http://iversity.org/courses/the-future-of-storytelling. From October 25th onwards, a new video lecture will be launched every Friday for 8 weeks at 10am CET. If you're enrolled this means: you'll be able to access the videos from then on for at least the 8 following weeks, not just at 10am. How much time will I need to participate? From just watching the video lessons (about 20-60 min per week) to engaging in discussions and tasks (about 2-4 hours per week), exploring our reading list and even presenting your own current projects via essays or video link on our Facebook page, your involvement is entirely up to you. The more you engage yourself, the more you gain. Will there be graded assignments? There is weekly homework (Creative Tasks) that you are very well invited but not obliged to do to complete this course. There will be no graded/peer-graded assessments/exams. Our aim is to inspire, give input and offer a stage to discuss and work together with many others who share the passion for storytelling. So: What you make out of it, how much you get involved, is up to you. Is this course only available in English? Yes, for now. Due to technical and production time restrictions, we will only be able to offer this first MOOC in ONE language. As English is the language most applying students here share, we decided to go for it. However, we uploaded our videos on our YouTube channel http://www.youtube.com/user/officialStoryMOOC, were they can be subtitled using AMARA. My written English is not that good. Can I still participate in the tasks? Of course! Although language is an important part of storytelling in general, great works have been created without even a single audible word (e.g. silent movies). We are working on making our tasks as language-independent as possible. Good grammar and spelling skills are not the only key to succeeding in this course. How much time do I have to complete the tasks? Most tasks are designed to help you experiment with storytelling. They are useful for YOU whenever you do them. To make them count for the course, however, tasks given usually can be worked on for a week and they are due the following Friday, again 10am CET. How can I connect with other students? You can visit our Facebook-Page https://www.facebook.com/TheFutureOfStorytellingMooc (no FB-account necessary to read and see all posts) and/or use #storymooc at Twitter to connect with other StoryMOOCers. Also: Feel free to create your own meeting spots/blogs (that you are most comfortable with) if you want. Will there be a second edition/run of this course? Not for now. Although we would love to create and host a so-to-speak "2nd season" of this MOOC, there are no definite plans yet. This experience will therefore be unique for now. What do I do if I have questions that are not answered here? If you have technical questions concerning the iversity-platform/enrollments, please have a look at the FAQ. If you have any more questions concerning the content of our course or great ideas you want to share: You can always post on our Facebook-Page and ask the community in case our team is not available. Once the course starts, additional discussion options go live right here on the course page. Christina Maria Schollerer (MA) studied European Media Studies at the University of Potsdam, the University of Applied Sciences Potsdam, and the Academy of Film and Television (HFF) "Konrad Wolf" in Potsdam Babelsberg. In 2008, she received the FHP-Award for Outstanding BA Theses by the University of Applied Sciences Potsdam. 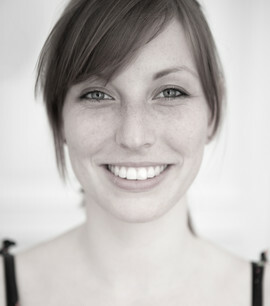 During her studies she has worked on several interactive e-learning projects for Cornelsen Verlag. Today, when not teaching at university or workshops, she writes and produces anything from children’s books and web series to transmedia projects and online book campaigns (e.g. for #1-best-selling German novel “Herzblut”, Droemer 2013). 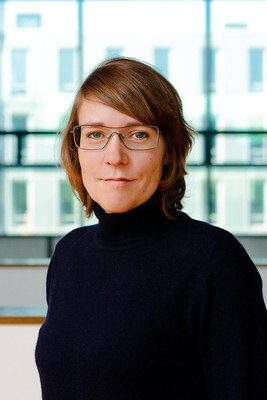 Professor of Concepts and Aesthetics of New Media in European Media Studies, Department of Design, University of Applied Sciences Potsdam. Winfried Gerling studied History of Art and Musicology at the GH Kassel, and Fine Arts at the HDK in Berlin. He co-founded an agency for interactive media and served as Creative Director, among others projects for the Museum of Modern Art (MMK) in Frankfurt / Main, the Gemäldegalerie Berlin, the Topography of Terror Foundation, and the German Pavilion at the Expo 2000. From 2000 – 2012, he was Dean of Studies of the European Media Studies at the University of Applied Sciences Potsdam and was instrumental in building and developing the study program. Since 2012, he has been Dean of the Faculty of Design at the University of Applied Sciences Potsdam. 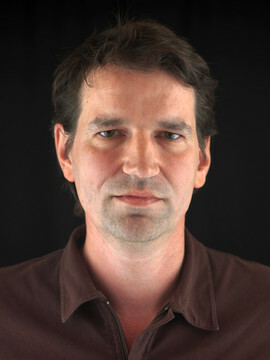 Julian van Dieken studied Multimedia Production at the University of Applied Sciences Kiel, Film Studies at the Free University of Berlin and Camera Studies at the „Filmarche“ Berlin. He is currently working on the design and production of the three-part instructional film series “Ganz nah dabei” for Cornelsen in Berlin. 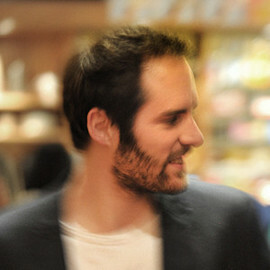 In 2008, he was nominated for the German Young Film Makers Award, and won the 2010 and 2011 Media Awards Schleswig Holstein.